Wolves rallied to a 2-1 victory to send Liverpool crashing out of the FA Cup as goals from Raul Jimenez and Ruben Neves inspired the hosts past the Premier League leaders. INCIDENTS: FA CUP THIRD ROUND CLASH AT MOLINEUX. ATTENDANCE 25,849. 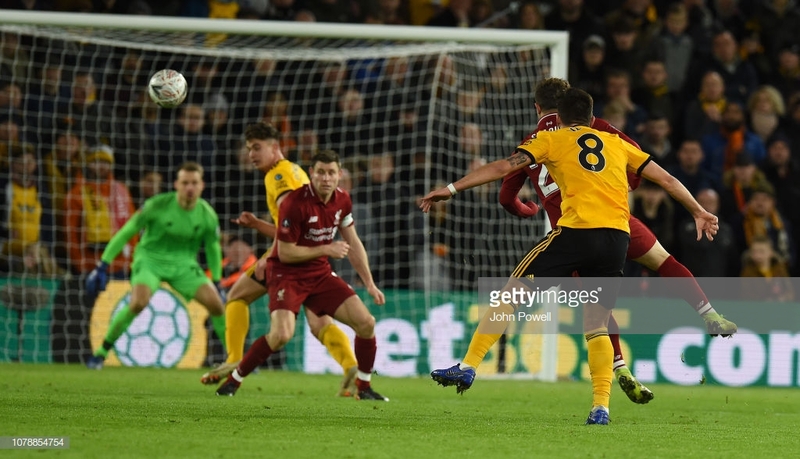 It wasn't inexperience or youth that saw this topsy-turvy encounter fall from Liverpool's flimsy grasp as Jürgen Klopp's horror affair with the FA Cup goes on as the Reds were yet again dumped out of the competition by a rampant Wolves outfit. It was back-to-back defeats for the first time this season for the Reds as Wolves have now eliminated Klopp out of the world's oldest knockout competition for the second time in two years as goals from Raul Jimenez and Ruben Neves sent the Reds backpacking back to Merseyside. Klopp's failure to get past the fourth round of the competition continues as yet another W named side following in the footsteps of West Ham and fellow Midlands side West Brom see Liverpool exit embarrassingly early for the fourth season running under the German's tutelage. There is always much to lament in an era which deprives on starting your best team in FA Cup fixtures with the competition becoming a standard practice despite managers failing to grasp that there is a trophy on the line. This was not one of those occasions for Liverpool as Klopp opted for common sense rather than disrespect to the prestigious tournament. It shouldn't be whispered considering the Reds are only in December, but the league must currently prize over everything if Liverpool are to end 29 years of hurt on the Red half of Merseyside. Despite throwing three teenagers in at the deep end who all delivered on a night defined by debuts that included 16-year-old Ki-Jan Hoever. Klopp's young prodigies couldn't save him from his reoccurring nightmare in England's most illustrious cup competition. Wolves were praying on individual mistakes following the Reds most inexperienced side of the season to date, and yet, it was there most senior members who gift-wrapped the tie for Wolves including a calamitous opening as Jimenez ruthlessly latched onto a James Milner mistake to put Wolves in the ascendancy. Divock Origi, who despite enduring a wretched display in the first-half atoned for his early sins level the scoring six minutes into the second period before a goal from the heavens from Neves dealt the final hammer blow to Klopp's latest instalment in FA Cup horror showings. Dejan Lovren was an early casualty as his injury six minutes into proceedings added to Klopp's already growing number of defensive casualties that saw the Croatian withdrawn for 16-year-old Hoever who was making his full Liverpool debut placing him as the third-youngest debutant in the clubs famous history behind Jerome Sinclair and Jack Robinson and the youngest ever Red to make his first appearence in the FA Cup. To put the teenager's remarkable achievement into perspective, Hoever was only 296 days old when Milner made his Leeds United debut back in 2002. Milner and Lovren were initially the only two members to survive from the team that was marginally beaten 2-1 at the Etihad just four days ago as Klopp opted to give his first team regulars an overdue night off. Origi was a shadow figure in the first period failing to hold up play as the Reds forward was bullied by the Wolves back-three. The Belgians main contribution in the opening 45 minutes was forcing John Ruddy into firing a miskick out for a throw-in into the Wolves stand. 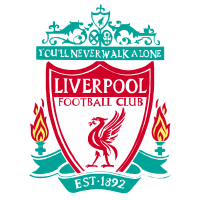 Liverpool's youngsters seemed keen to impress and their confidence glistened with both Hoever and Camacho seeing large periods of the ball in the first half. The hosts looked to utilise the visitor's inexperience preying on mistakes from the Reds like hungry predators. 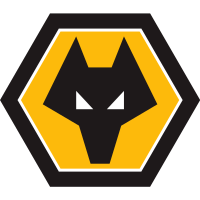 Joao Moutinho fathomed the first real effort for Wolves ballooning an early shot high and wide. Milner's nightmare of a first half showed early signs of frailty when the Liverpool was deservedly booked for a cynical pullback on Diogo Jota. The young Curtus Jones was beaming with class following some smart intricate touches that included an audacious nutmeg on Moutinho who is 15 years his senior. Molineux roared at referee Paul Tierney for a penalty when a Jota pullback came crashing off debutant Hoever. The hosts cried for handball but Tierney quickly ruled away as the ball struck the youngster's chest. The best chance for Liverpool in the first-half fell to Xherdan Shaqiri when a scramble in the box between Ryan Bennett and Jonny Otto sparked confusion with the ball falling to the Swiss forward who rushed his shot and jerked the effort wide. Hoever began to grow into the game with ease demanding the ball from his teammates showing no early signs of the occasion overwhelming the debutant. The Dutch teenager, who joined the Reds from Ajax last summer, even made a crucial block to deny an imminent Jota who would have been darting clean on goal following a Jimenez through ball. It may have been a squad beaming with inexperience, but it was Liverpool's most senior member who gifted the hosts the goal when Milner carelessly gifted possession to Jota who played in Jimenez who was goalbound. The Mexican international accepted the gift with ease to comfortably dispatch past a helpless Simon Mignolet to put the hosts deservedly in the ascendancy. Despite offering virtually nothing in the first period it didn't take the visitors long to restore proceedings with Origi atoning for his grim showing in the opening half. Shaqiri saw a gap and executed a lofted ball into the path of Milner who held off Connor Coady before a scramble in the box saw the ball fall to the Belgian striker who blasted a left-footed strike past Ruddy. It should have sparked momentum from the visitors, and yet it was Wolves who rose tallest to the equaliser as it took only seven minutes for the hosts to reclaim their lead. Neves added himself to the already lengthy list of names to deal Klopp a fatal blow in FA Cup as the Portuguese powerhouse struck a thunderbolt from 25-yards to send Molineux into delirium and Klopp into a reoccurring nightmare. The hosts continued to rally at Liverpool and Wolves were almost presented another gift when Jimenez pounced on youngster Hoever who failed to clear before taking the ball past Mignolet only to see the ball roll out for a goal kick. Liverpool were crying out for a moment and their prayers were almost answered when Shaqiri rocketed a free-kick at goal only to see his technically perfect effort crash off the crossbar. Wolves were looking to kill the contest and they so nearly did when Jimenez went searching for Adama Traore at the back post, but the impressive Hoever was present to clear. It was the Reds youngsters who impressed in an overall limp showing from Klopp's players. Rafael Camacho's late effort got Reds supporters off their seats as the teenager impressed in his inaugural bout for the first team. Wolves prevailed to dump Liverpool out of the competition for the second time in two years as Nuno's side set up a fourth-round bout with either Stoke City or Shrewsbury Town. Klopp's affair with England's oldest cup competition can often be described as nothing shy of grim and this latest instalment against Wolves added further fuel to the fire as Liverpool crashed out of the FA Cup before the fifth round for the fourth successive time under the German boss. Wolves have now sent the Reds crashing out of the competition for a second time in two years as Klopp's failure to make the fifth round goes on. 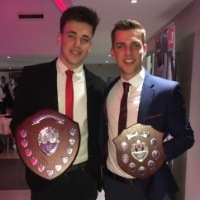 Following a string of appearances from the bench in recent weeks, it's been a rather miserable opening to life in the top flight for the Portuguese midfielder who has so far failed to match the inspiring form of his miraculous Championship winning debut season at Molineux. However, Monday's performance was the grit and guts that has been lacking in recent weeks and his 25-yard piledriver epitomised the class that has been missing from the 21-year-olds game recently. It will surely do wonders to the youngster's confidence and with the Premier League champions, Manchester City looming in a weeks time Neves may be finding his feet in the top-flight at the perfect time. It may not have been the result the youngster wanted, but it will inevitably remain a night that debutant Hoever will never forget as the 16-year-old rose brilliantly to being thrown in for the injured Lovren. The Reds third youngest ever debutant was one of few positives a grim showing from Liverpool and Hoever demonstrated why there has been such a hype surrounding the record-breaking teenager.